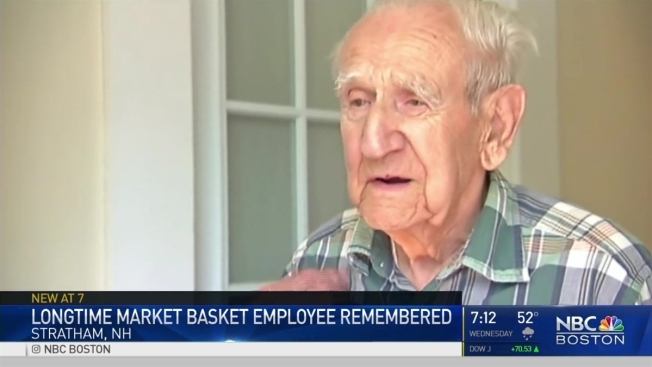 Arthur St. John, 96, was the oldest worker at the Market Basket chain. Workers and customers in Stratham, New Hampshire, are mourning his passing. Arthur St. John, who at 96 was the oldest employee of a New England grocery chain and among its most beloved, has died. St. John died Monday at his home in Exeter, New Hampshire, the Brewitt Funeral Home said. He worked as a part-time bagger in the Stratham store of Market Basket for 26 years. He was the oldest employee working at any of the supermarket chain's 77 locations in Massachusetts, New Hampshire and Maine - and one of the most popular. Store Manager Dean Clevesy tells Seacoastonline.com that customers would wait in line to talk to him when other lines were open. Arthur St. John, a 22-year veteran of the company, is among the part-time employees not going to work next week. 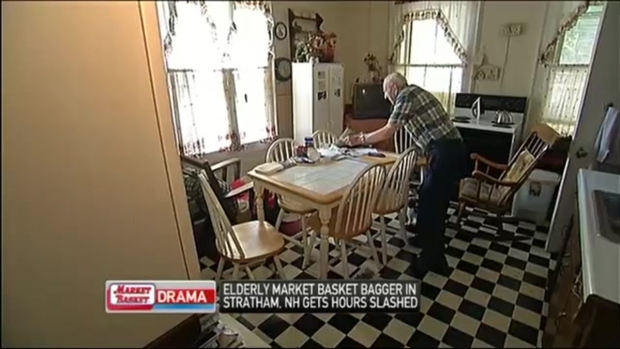 St. John worked mill jobs and at a nursing home before joining Market Basket. He worked alongside his brother Oscar, who died in 2012. In 2014, a feud between two cousins over the family-run chain prompted an employee walkout and a customer boycott. St. John was among the part-time workers whose hours were cut. A young customer started a GoFundMe campaign to help him pay his bills, and it raised more than $7,000. After he turned 96 last July, Arthur T. Demoulas, the store's president, sent him a note, calling him an inspiration and thanking him for his years of service. "It keeps me busy, and that is what keeps me going," St. John said of the job last year. A photo of St. John, along with a sign that read "RIP Arthur We Will Miss You," was put near his regular spot in the checkout area in the store. Company officials said St. John was the oldest employee - but only by five months. They said 96-year-old Sal Pilla, a 21-year employee who works at the store in Bellingham, Massachusetts, is now the oldest.